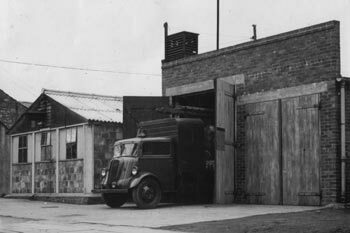 A reasonably well sited mixed prefabricated and brick structure in a fair state of repair although it lacked suitable drill and training facilities. A new more permanent structure would be required at a later date. 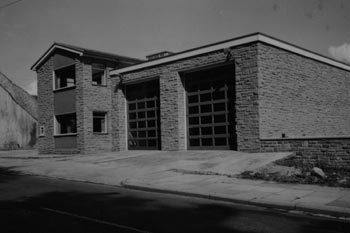 The old fire station was demolished and the construction of a new station on the same site began. A temporary garage for the appliance was constructed.